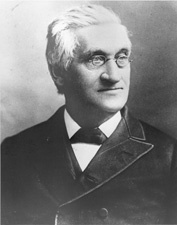 VAN WYCK, Charles Henry, a Representative from New York and a Senator from Nebraska; born in Poughkeepsie, Dutchess County, N.Y., May 10, 1824; completed preparatory studies and graduated from Rutgers College, New Brunswick, N.J., in 1843; studied law; admitted to the bar in 1847 and commenced the practice of law; moved to Bloomingburg, Sullivan County, N.Y.; district attorney 1850-1856; elected as a Republican from New York to the Thirty-sixth and Thirty-seventh Congresses (March 4, 1859-March 3, 1863); chairman, Committee on Mileage (Thirty-sixth Congress), Committee on Revolutionary Pensions (Thirty-seventh Congress); entered the Union Army as colonel of the Fifty-sixth Regiment, New York Volunteers, and commanded it during the Civil War; brevetted brigadier general for services during the war; elected to the Fortieth Congress (March 4, 1867-March 3, 1869); successfully contested the election of George W. Greene to the Forty-first Congress and served from February 17, 1870, to March 3, 1871; moved to Nebraska in 1874, settled on a farm in Otoe County, and engaged in agricultural pursuits; delegate to the State constitutional convention in 1875; elected to the State senate 1877, 1879, 1881; elected as a Republican to the United States Senate from Nebraska and served from March 4, 1881, to March 3, 1887; unsuccessful candidate for reelection; chairman, Committee on the Mississippi River and Its Tributaries (Forty-seventh Congress), Committee on the Improvement of the Mississippi River and Tributaries (Forty-eighth and Forty-ninth Congresses); unsuccessful Populist candidate for governor of Nebraska in 1892; retired from political life and active business pursuits; died in Washington, D.C., October 24, 1895; interment in Milford Cemetery, Milford, Pa. Dictionary of American Biography; Harmar, Marie V. and James L. Sellers. Charles Henry Van Wyck: Soldier-Statesman of New York and Nebraska. Nebraska Historical Magazine 12 (April-June 1929): 80-129, 12 (July-September 1929): 190-246, 12 (October-December 1929): 322-73.